Retro Planet carries many famous old-time brands, but Volkswagen fans may have felt somewhat slighted over the years. Well, not anymore! If you love those cool VW camper vans or Beetles from the 1960s and 70s, don’t miss the bus on our new batch of VW accessories. Appropriately, these unique gifts let you hit the road in retro style – and they’re all shaped like vintage Volkswagen vehicles. Made of durable but lightweight cotton canvas, they’re the perfect traveling companions. 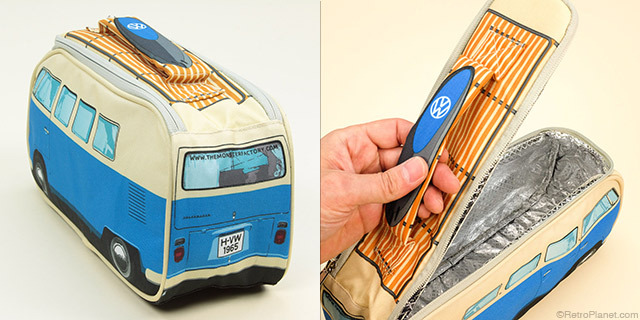 Prepare for overnight stays with a VW toiletry bag. They come in several colors, expand to accommodate all your stuff, and feature a zippered top with sturdy Velcro flap. Choose a camper van or a classic VW Beetle! For kids and crafters, we have VW pencil cases in red, orange and blue. They’re a fun way to share your love for retro style with a younger generation. Make the work or school day super cool with this VW lunch tote, which has an insulated aluminum foil interior and a sturdy carry handle. 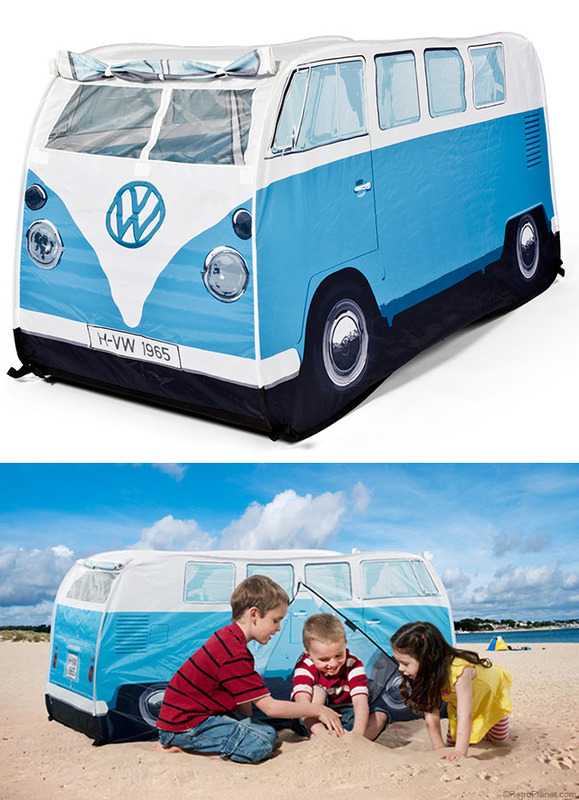 But for maximum fun, park this Volkswagen camper van tent in the backyard or the beach. This roomy kids play tent will accommodate up to three children (ages 3 and up). It’s designed after the 1965 VW Camper Bus and features a side-entry door and Velcro roll-up window. Its waterproof exterior ensures that not even rain will spoil a fun day out. Make very day sunny with one of these cool, classic Volkswagen accessories!